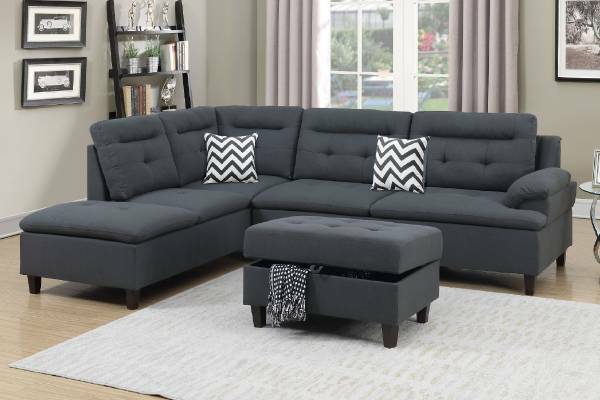 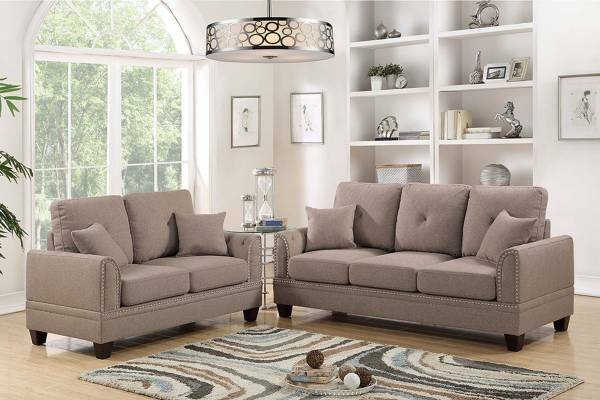 A chic design of fashionable flare is delivered with this 3-piece sectional sofa covered in a smooth but functional fabric. 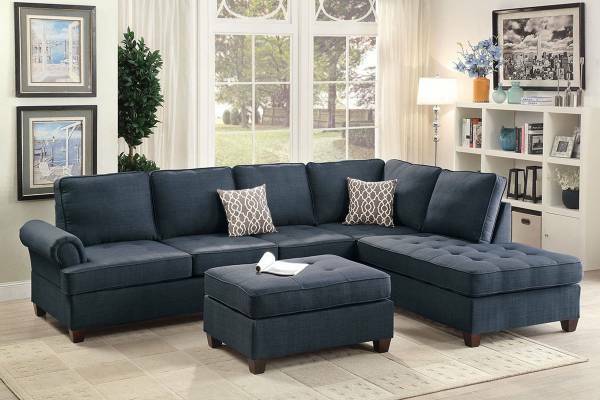 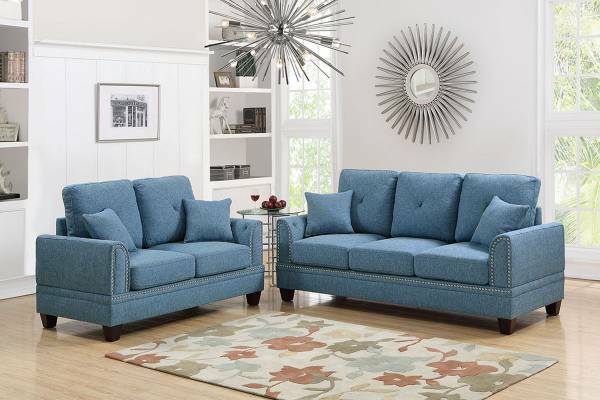 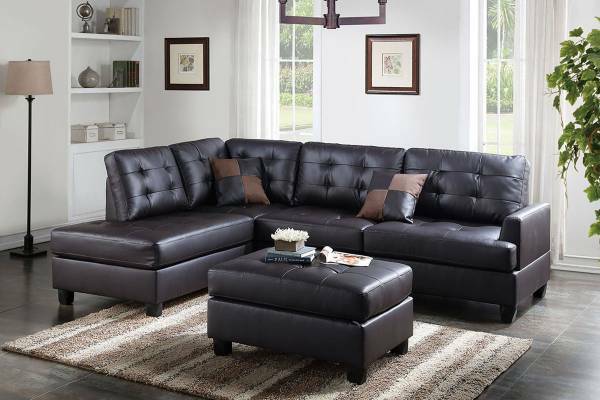 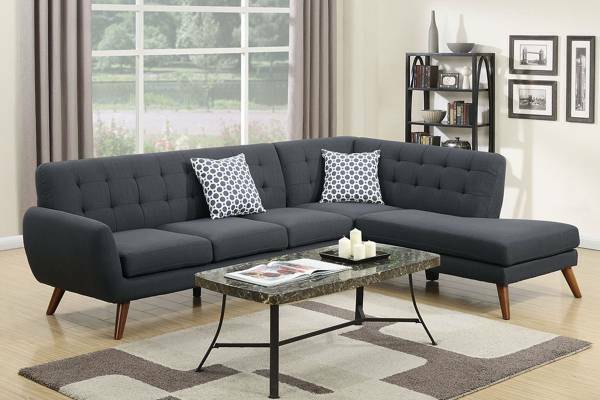 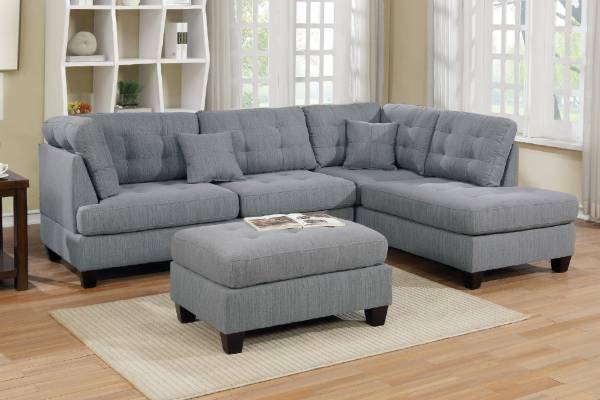 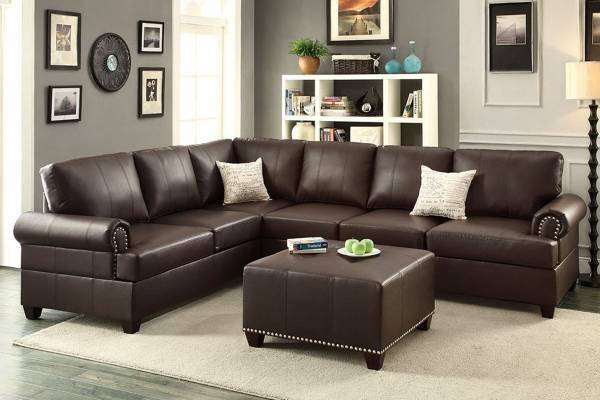 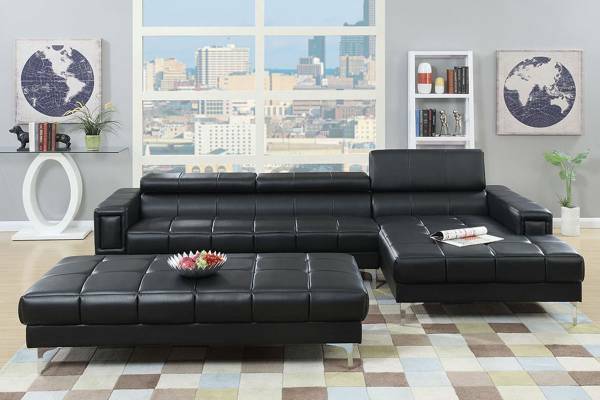 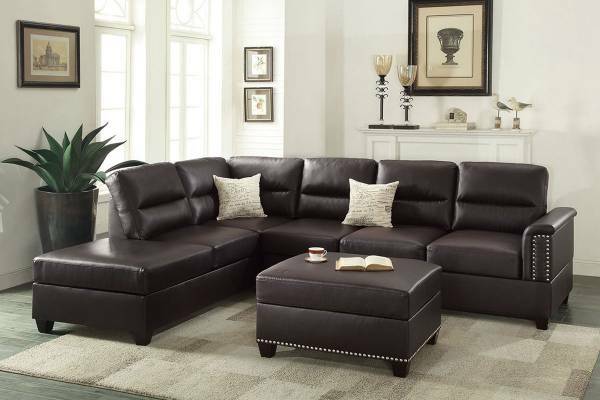 The lower portion is trimmed with nickel finished studs and the seating is of pure, plush comfort. 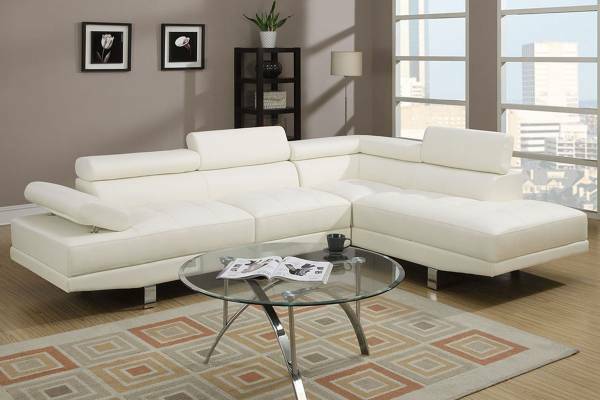 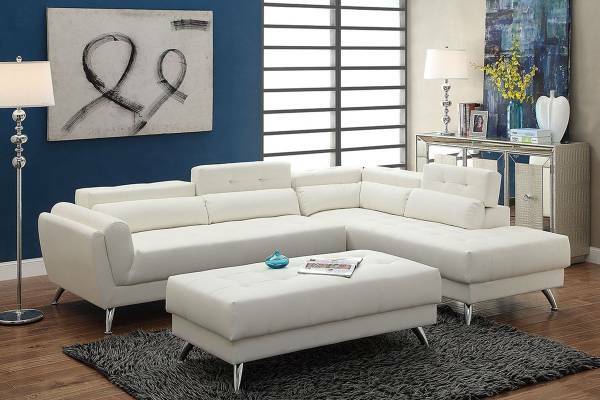 This platform framed sectional also features short wooden legs, accent stitching and a matching ottoman. 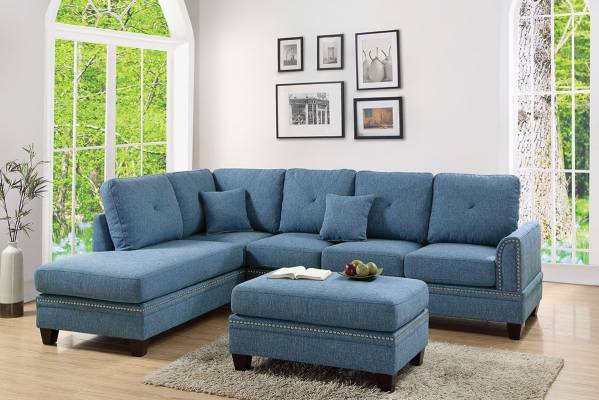 Available in coffee, blue, or citrus polyfiber.